Choosing your wedding flowers can be quite daunting. 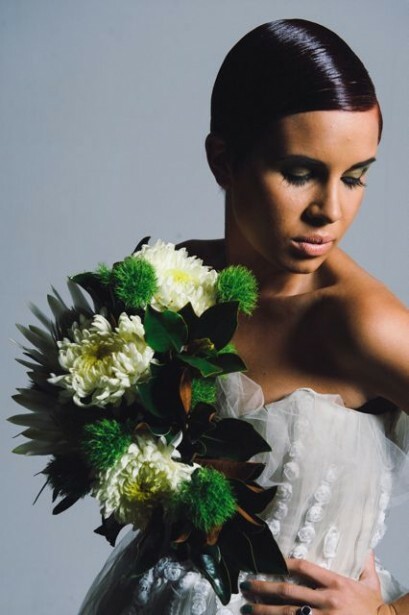 Your bridal bouquet is a once in a lifetime accessory. 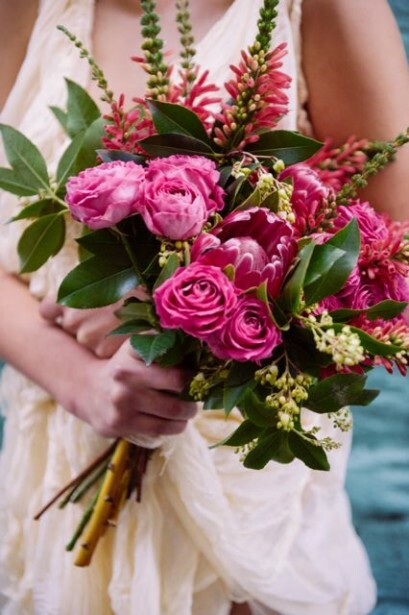 Your bridal flowers are a crucial part of your wedding theme and can often take up a significant part of your budget so it is important to choose your florist carefully. A few main areas that I find important are: theme, budget and wedding date/season. Nearly all Brides have a theme or look that they are going for which generally displays the bride and groom’s personal taste. Inspiration comes from many different blogs, magazines, weddings attended and soon a visual photo board of your wedding is born. It’s important for me as a Wedding Florist to gain this insight so that I too can work to achieve the look that the Bride and Groom have chosen. I recommend that all bridal couples bring this to our consultations. I like to get as excited as they are about their theme. For me it’s half the fun! It’s important for me to make sure that I can work with the wedding budget, so I suggest that couples work this out early on in the piece. Many wedding parties understate the importance of this budget. In cases where flowers are being used as all the decorations, you may be happier to have a higher budget. If wedding flowers are only going to be used for bridal bouquets and button holes, then a smaller budget would be the way to go. I also like to suggest options where Brides can save a little money. For example, using florals at the ceremony, which can then be used at the Reception for displays. Flowers come at different prices so this is also something that I advise when working with budgets. Flowers are precious little things and like to bloom when they feel the time is right. This is why there are times when you want that particular flower and it ‘isn’t in season’. I offer a list of flowers and the months that they are available to help make choices easier. I believe that communication is so important when working with the day that is going to be the biggest day of two people’s lives. This is why I start with an initial consultation that is face to face to get to know the Bride and Groom, their theme and every little detail that is going to make their day so special. I think: keep in contact with them right up until their day. One of my favourite parts of my job is delivering the bridal bouquets to the Bride on the day and even getting a sneak peak of their stunning dresses. I’m Cara, Floral Designer of The Wild Peony. I love to create fabulous floral creations for the most special wedding day. Individuality, personality, unique, stylish and luscious floral design is what I live for. Adoring the natural beauty that blooms create, I pour my heart, soul and petals into ensuring your wedding day blooms are breathtaking. 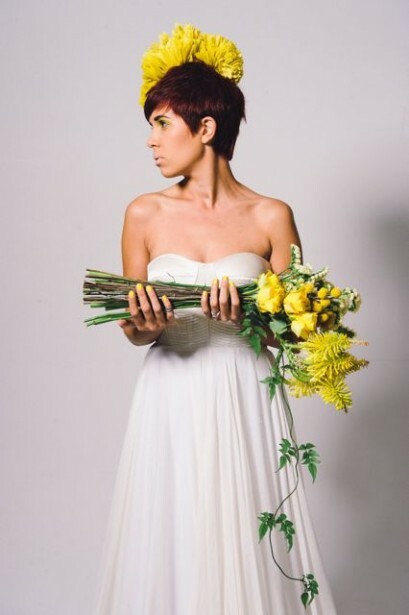 Providing a style that is creative with a stylish flare, The Wild Peony will add that extra element to your wedding day. Whether it be Bridal Party blooms only or complete unique floral wedding design, let The Wild Peony make your wedding turn a new leaf. 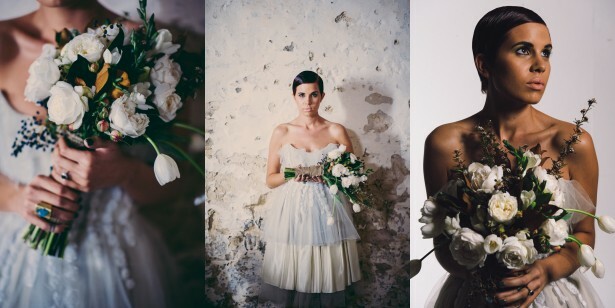 The Wild Peony is a chosen exhibitor at the First Comes Love Bridal Fair. Held on Saturday, October 5th 2014 at St Georges College, Crawley. Image credits: Courtney Illfield Photography.